Nix caught his lone target for two yards during Sunday's 16-13 win over Cincinnati. Analysis: As per usual, Nix was used for his strong blocking skills more than anything else and finished the 2018 season with one carry for four yards and four catches (on six targets) for 38 yards in 16 games. With three years remaining on his current contract, Nix will be back clearing a path for James Conner in 2019. Nix ran once for four yards and failed to catch his lone target during Sunday's 31-28 loss to New Orleans. Nix caught both his targets for 17 yards during Thursday's 52-21 win over Carolina. 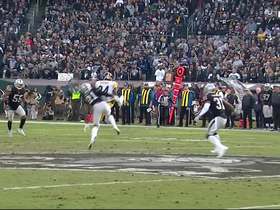 Analysis: Both his catches came on the same second quarter drive that led to a field goal and a 24-7 lead. He now has three receptions for 36 yards on the season. He also made a huge play on special teams, forcing a fumble on a kickoff that was recovered by Anthony Chickillo on the Carolina nine-yard line. 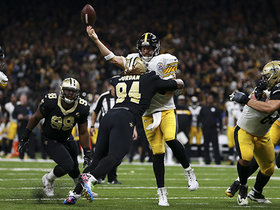 Two plays later, Ben Roethlisberger hit Jaylen Samuels for a six-yard touchdown. The Steelers re-signed Nix to a new four-year deal Saturday. 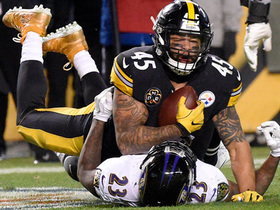 Analysis: Nix, who was named to the 2018 Pro Bowl, will no longer have to worry about his immediate future. 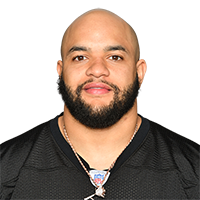 The fullback has logged 45 career games (nine starts) with the Steelers. He logged just one rushing and one receiving touchdown this past season, but his primary role is leading the way for star running back Le'Veon Bell. Nix, who ran twice for minus one yard and caught his lone target for five yards in Sunday's 28-24 win over the Browns, finishes up the 2017 season with no yards on three carries and one touchdown. He also caught two passes (on three targets) for six yards and one touchdown, playing in all 16 games. Analysis: Primarily used as a blocking back, Nix is a restricted free agent, and regardless of whether he returns to Pittsburgh next season, or lands somewhere else, his fantasy value lives up to his name and is virtually non-existent. Nix had one carry for a one-yard touchdown in Monday's 34-6 win at Houston. Analysis: Le'Veon Bell's fantasy owners had to be sick to their stomach watching Nix, who had played 39 games over three years without a rushing attempt, power his way to a one-yard score. For those still playing in Week 17, don't expect to see that happen again. Nix caught his only target for a one-yard touchdown in Pittsburgh's 39-38 win over Baltimore on Sunday. 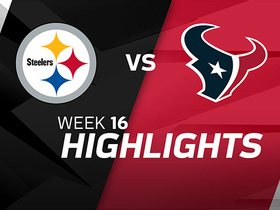 Analysis: The third-year fullback entered the game without a touch all season, and just four career receptions, but his touchdown grab with 9:15 remaining in the game pulled the Steelers to within two points, setting the stage for their third straight fourth quarter comeback win. 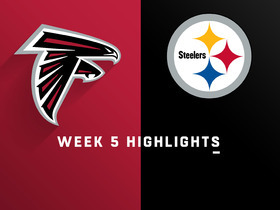 They have now won eight straight games heading into their Week 15 matchup against the Patriots. 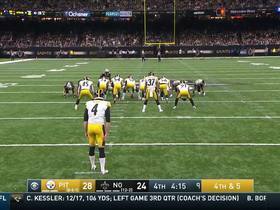 The Pittsburgh Steelers' fake punt snap to fullback Roosevelt Nix comes up just short on fourth down. Pittsburgh Steelers linebacker Anthony Chickillo recovers fumble after Carolina Panthers wide receiver Curtis Samuel loses ball on kick return. 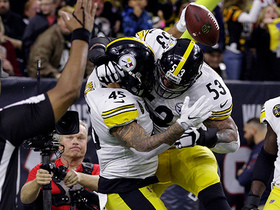 Pittsburgh Steelers fullback Roosevelt Nix runs it in for a 1-yard touchdown. Pittsburgh Steelers fullback Roosevelt comes away with a 1-yard touchdown in the end zone. 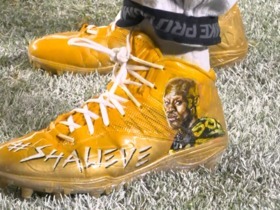 Ahead of their Week 14 matchup the Pittsburgh Steelers organization shows support for linebacker Ryan Shazier who suffered a back injury earlier in the season.